For more information, please contact John@travelweber.com. Carpe’ Diem! travelweber.com provides travel information and advice, we do not book or make reservations. Our information is provided as a result of fellow travelers like yourself providing feedback and comments on your stay, and the information that we have provided. 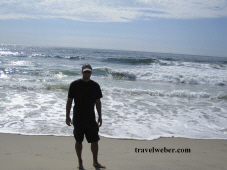 travelweber.com can provide you with valuable information that will save you money as well as point out what you may want to see and/or do, based on your personal interests. Take a look at the attached links that include pictures of previous trips. Please contact us at John@travelweber.com for more information. travelweber.com can create an itinerary for you based on your specific personal interests. *travelweber is not affiliated with travelweb. All material in this website is the property of travelweber.com, and cannot be used without written permission from travelweber.com.